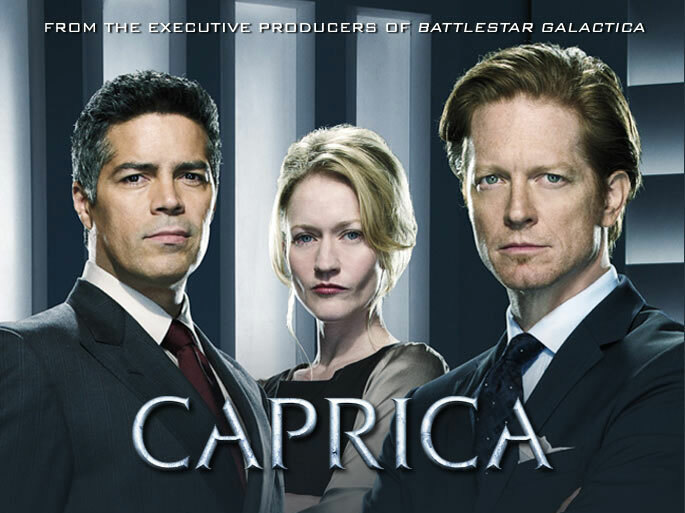 Why SYFY punished us with Battlestar Galactica when they had so good idea with TV series Caprica? They had mythology, at least 13 new worlds, birth of new cylon race, thousands of virtual worlds everything spiced with technology, corruption, betrayal, war and decay. Although Caprica is happening 58 years prior to post apocalyptic Battlestar Galactica, I like their technology much more than dark and claustrophobic Galactica. My opinion are sharing many SF fans (as more than 12,500 people signed Caprica petition), but love on the side, someone must see potentials of this storyline. I would like to see Eric Stoltz as Daniel Graystone and Esai Morales as Joseph Adama again, but if does not work with Stoltz and Morales, maybe series can be continued with changed cast. Caprica virtual worlds are working as pay and live Matrix MMORPG and I believe will have large audience if continued. anonymous: "one of greatest tv shows that run for just one season and was abruptly ended because from fear it will overshine junk Battlestar Galactica. so sad." anonymous: "best one season tv series by far..."